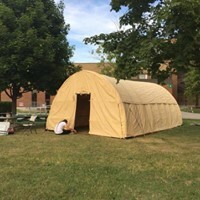 Shake tent covers typically range from $150-$250 depending on your dimensions and details. 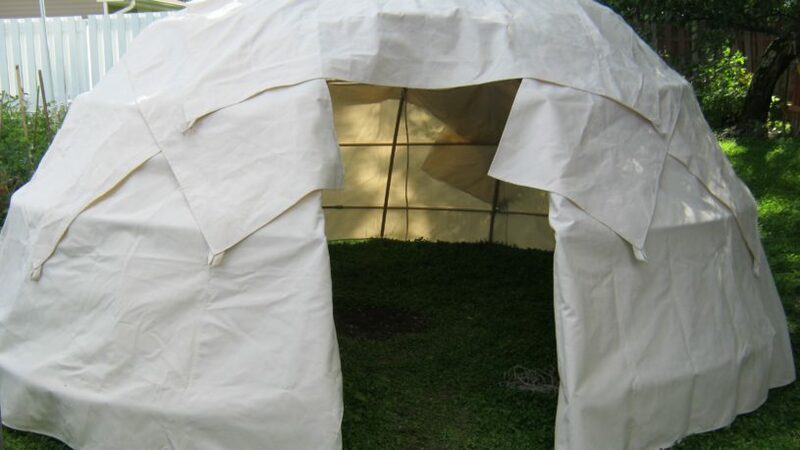 Lodge covers can be as simple as a set of flat tarps to cover your own poles how you see fit. They can also be precisely designed to fit your frame and reduce setup time. 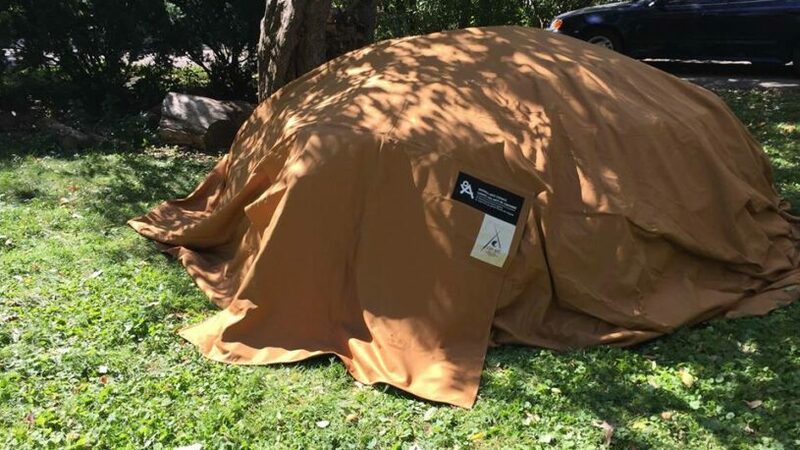 Other custom lodge covers can range from about $500 for a set of flat tarps for a small round wiigiwam, to $10,000 for a fitted set of heavy-duty tarps for a full sized lodge with all details accounted for. 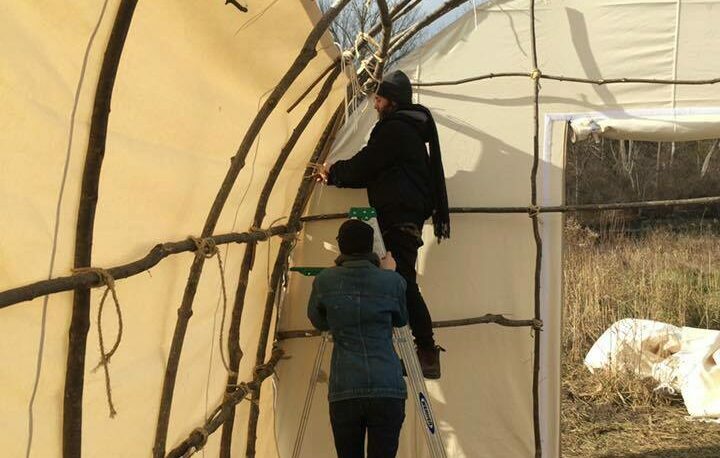 We also fabricate custom faux-wooden frame kits and instructions to make fully portable structures. Ceremonial lodges are always custom work, if you are interested please contact us with as many measurements as possible. We work with CAD to create a 3D model. With a model, we go over details with you and make a beautifully-fitted lodge cover. Standard canvas is 12oz in weight, dyed black and treated to be mildly water repellant. Occasionally we have other colours available. We have even incorporated a conductor’s prints into a custom tarp. We ensure the materials used in our sweat covers are free of heavy chemical treatments. 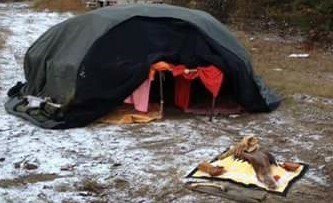 The diameter of the tarps should be at least the distance over the top of your lodge, from ground to ground, plus 2’. Prices listed below are the same for square or round tarps. 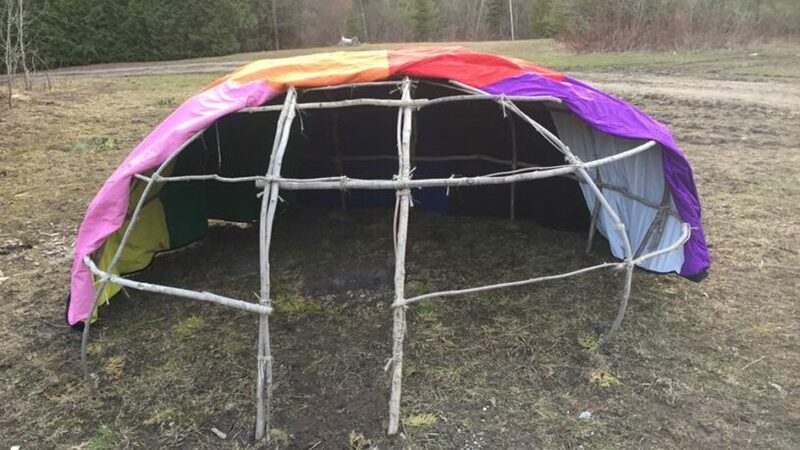 To make your sweatlodge cover function properly, 2 layers are often sufficient, however 3 layers are recommended for sweats being run in the winter or exposed to full sun. Layers can be stitched together if you’d like, but we recommend keeping them separate to make the tarps easier to handle and dry out – periodically drying them will extend their life. There is no price difference between stitching them together and keeping them separate. For a quote including shipping, please include a postal code. 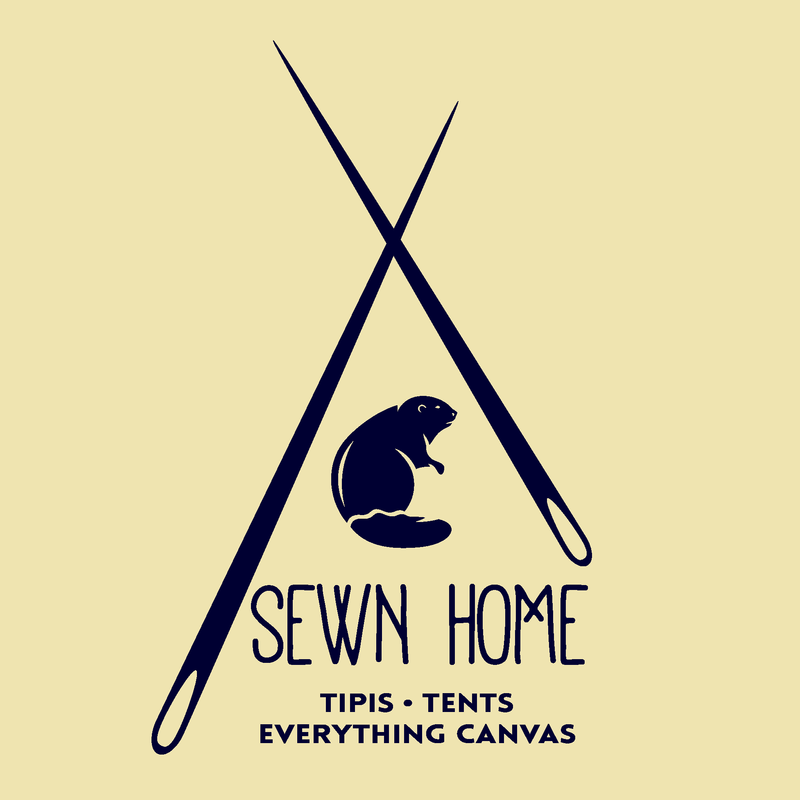 All Rights Reserved by Sewn Home. Site developed with assistance by NEOnet Inc.